Based on Physician advice, the orthopedic pillow is the perfect support for muscle and neck. People who suffer from a bone spur, muscle aches, a bone spur, or neck injury has to really face a hard time to sleep. The Wrong pillow, on the other hand, might cause severe neck pain and many sleep-related issues such spine problem, breathing problem, stiffness, numbness, migraine etc. The Physicians often suggest choosing the pillow carefully according to the specific position like back, side, and stomach. 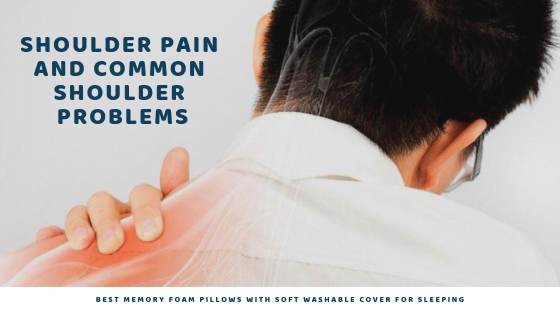 The orthopedic memory foam pillow in contour shape is the best therapeutic solution to ease neck pain. The sleeping position determines the thickness and firmness of the most appropriate pillow. A person who sleeps on their back would be benefited from a softer, thinner pillow and a side sleeper needs thicker support. And if you like a cool pillow, infused gel pillow is ideal to provide you a comfortable and relaxed sleep. The Contour Pillow has a high-density memory foam core for ultimate support and is lesser firm. It has a high-quality material that tends to remain warm & protective, which alleviates sore muscles and neck pain. This pillow is totally supportive and comfortable for neck and head without troubling the spine alignment. The side sleeper with severe neck pain can undoubtedly use contour pillow and feel the difference. Cervical Support Pillow is ideal for a person with cervical pain. This pillow is adjustable with a combination of pressure relief point and visco-elastic memory foam. This pillow reduces strain on muscles and neck and relieves pain to offer quality sleep all night. This pillow absorbs the body temperature and sleeping position and creates a comfortable and neutral position to rest all night. This super soft memory pillow is hypoallergenic and dust-mint resistant, thus, absolutely safe and healthy. The cooling gel technology produces a cooling effect by promoting air-circulation for better breathability. The bamboo cover pillow is integrated with high-density shredded memory foam pillow in a contour shape to curdle into a neutral neck structure and creates a personalized fit. Bamboo is helpful for the stomach sleeper since it is Eco-friendly, hypoallergenic, dust-mint resistant and customizable. The Memory Foam Pillow has an ergonomic design that provides the utmost comfort and relaxation irrespective of the sleep position. This pillow contours to the neck support in your backside, side position and stomach position. The memory foam pillow molds to the curvature in a natural position. It’s ventilated and allows better airflow through the pillow to keep you cool and healthy. Memory foam pillow also reduces pressure on muscles and relieves neck pain. The orthopedic pillow is like a therapeutic solution for neck and cervical pain. Sleepsia is a trustable brand delivering high-quality memory foam pillows across the USA. The delivery process is really user-friendly with proper information given for each product. To purchase Sleepsia, simply visit the official website www.sleepsia.co, identify your choice and place an order for the best pillow that suits you or call at 1800-862-1084 in case of any doubts or queries.